Biography: U. Kelley Riedel has been an attorney with Berman & Riedel, LLP since 2002, and is currently the firm’s Administrative Partner. Ms. Riedel’s extensive civil litigation experience includes complex general personal injury cases, medical malpractice lawsuits, and product liability actions in both state-wide and nationally coordinated federal multi-district litigation cases for defective medical devices. 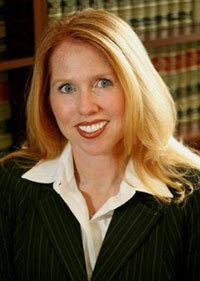 Since joining Berman & Riedel, LLP, Ms. Riedel has handled several pro bono cases on behalf of the firm, including her work for Trial Lawyers Care, Inc., where she represented the widow and children of an FDNY firefighter who lost his life in the 9/11 terrorist attacks, obtaining settlement from the federally-funded Victim’s Compensation Fund.